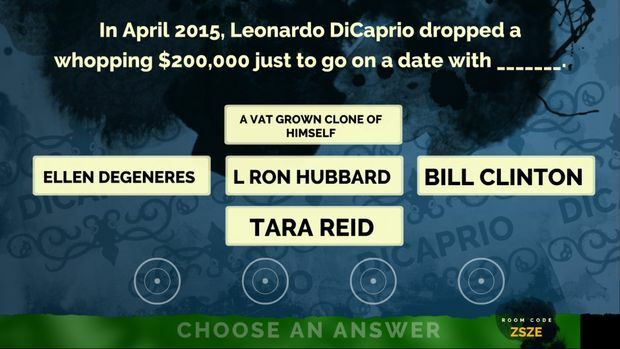 Last year, The Jackbox Party Pack showed everyone how to do party games right. It served up quick, punchy laughs, and did it all with zero hassle. This was thanks in no small part to the game's innovative interface that allowed friends to play along with their phone, tablet, or laptop rather than trying to figure out a spiderweb of controllers and peripherals strewn across the living room floor. The other half of the equation was a quirky collection of truly hilarious games guaranteed to bring out the best of the worst in your friends. 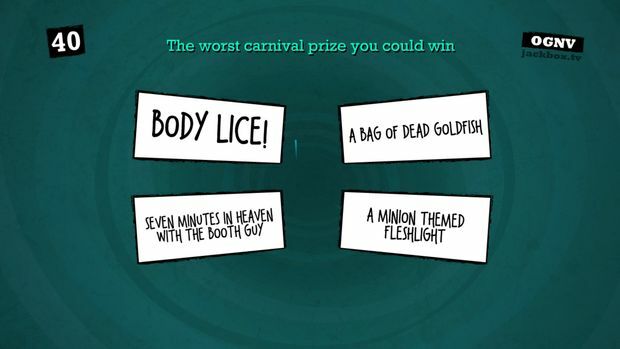 Now Jackbox Games is back with another collection to titillate and mortify your party guests. 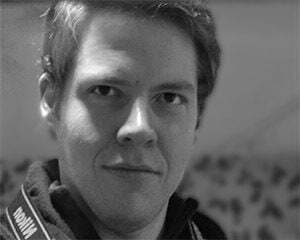 This time with an increased emphasis on Twitch support, large audiences, and slightly more complex mechanics. While the new additions work, you can tell Jackbox Games didn't want to stray too far from the original recipe, and for good reason. With the exception of a few speed bumps, and possibly one dud game, Party Pack 2 is a near perfect vehicle to turn your casual get-together into a chuckle factory. The Jackbox Party Pack 2 includes five games in the collection, two of which are returning Jackbox favorites. Fibbage 2 keeps the same great format of creating believable (or hilarious) lying answers to trivia questions to bamboozle your friends while adding in a few new tricks (the new one-time use “deFIBrilllator” gives you a 50/50 chance between the right answer and a single lie instead of seven) and more than doubling the number of questions of the original. While Fibbage still supports 2-8 players, it has borrowed the audience feature of Quiplash to allow audience members watching on a stream or through the web based game client to vote on their favorite answers, sliding even more points to the most entertaining or diabolical players. This feature is particularly great for streamers and folks with large social media circles, just send out the room code and anyone who is interested and join in and see how clever you and your friends are free of charge. 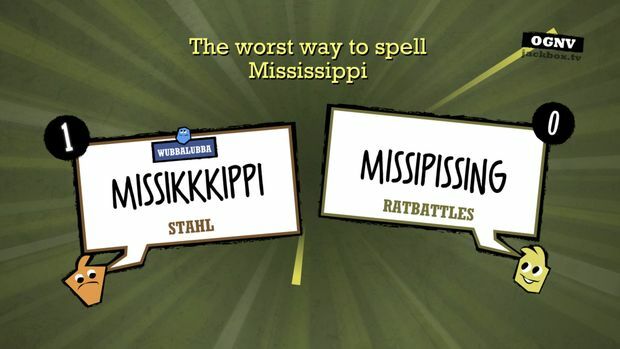 Quiplash, which was separately released last summer as a stand-alone title, returns as Quiplash XL. It's identical to the original, but includes the DLC question pack and an extra 100 prompts to spice things up (nice to have after starting to run into rerun jokes after playing a lot of the original). Quiplash is by far the most free-form of the games, simply setting up jokes and asking the players to fill in a punchline. Your friends then judge “WHO IS MOST FUNNY” and vote on which answer tickled them the most. It's quick, easy, and endlessly entertaining. The only flat note I can think of is that it doesn't seem as lovingly reworked as Fibbage 2. While Fibbage 2 features new art, new tricks, and the freshly adopted audience system, Quiplash XL is just “more Quiplash” with no added bells or whistles. Not a bad thing, but not thrilling either. While the new questions are definitely welcome, if you just bought Quiplash and the DLC question pack a few months ago, it may damage the value proposition of the pack. Fibbage 2 and Quiplash XL are the anchor games of the pack and likely the two titles most groups will spend the majority of their time with, especially as the night wears on and a combination of exhaustion and inebriation make the other games a little too much to handle. Fortunately, they're so good that they basically justify the cost of the pack on their own. But don't count out the rest of the collection. The other games in the pack are a little more daring in design and show that Jackbox Games isn't afraid to venture out of it's comfort zone, for better or worse. Are these jokes working? No? Yeah, I thought so too. And that's the sad part about Earwax. While some rounds shook buckets of laughs out of my group, most were met with nervous tittering and awkward silences. You don't know what the choices will exactly sound like, so often the inflections on a line will be different from what you intended, or what seems like a cute joke will just fall flat. The pace of the game is off too, with everything between introducing new prompts to playing sound effects taking just slightly too long, bogging down the experience (especially after a dud round). The concept is interesting, but the execution just didn't pan out. 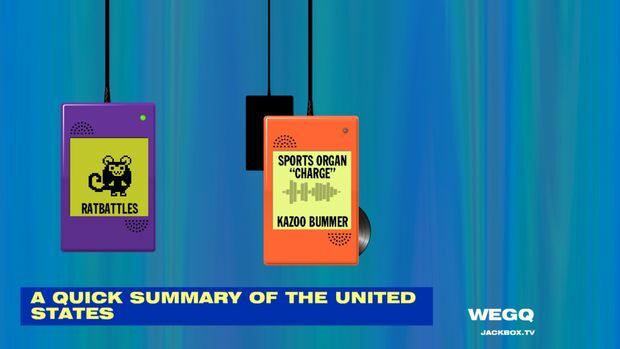 Thankfully, the other new additions to the Jackbox family fit in much more smoothly. Bidiots, the spiritual successor to Drawful, is a drawing game with a bidding and bluffing element that is surprisingly engaging. 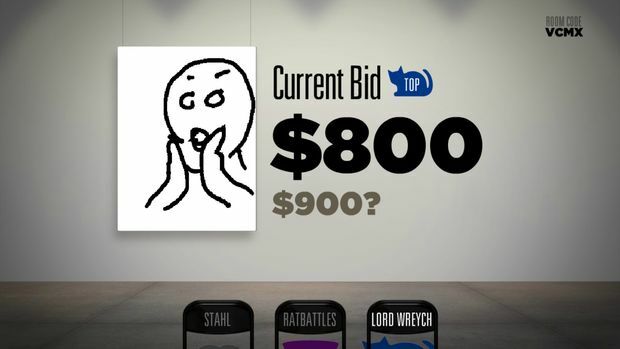 At the start of each game, each player is given two prompts to (poorly) draw with their finger tip, a budget of $3000 to bid with, and a few tidbits of secret information other players may or may not have, like how much a certain piece is worth. Where things get interesting is that multiple players will likely have prompts that are vaguely similar to each other. Three separate players may have “day at the beach,” “getting a tan,” and “sunburn.” Your goal is to finish the game with the most cash possible, cash you earn by driving up the price of pieces you made, and successfully winning bids for high value pieces -- a trick easier said than done with the number of thematically similar pieces going around. “Sunburn” might be worth a cool $3800, but what if you confuse it with the near worthless “getting a tan?” To help guide you, rich art patrons will occasionally text you throughout the game with tips like “Player 2 knows the exact value of the next piece” and if you get really stuck, you can always take on a predatory loan, easy cash now that you'll pay back with interest at the end of the game. Bidiots is a ridiculously great time. While it may take a little more explaining than the other games in the previous collections, the result is a mix of the same goofy fun of Drawful with a sly layer of strategy underneath. Really great if your friends are used to playing competitive boardgames or otherwise enjoy a little bit of mental warfare with their games. Definitely the standout of the new games. Last is the off-kilter Bomb Corp, a game that plays like a faster, less complex version of Keep Talking and Nobody Explodes. 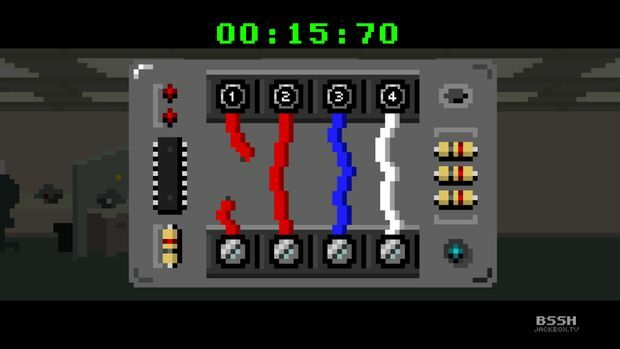 Bomb Corp ditches the faux game-show trappings of the other games with the odd premise of being a new worker in the poorly run office of a bomb factory; your job is to disarm all of the accidentally activated bombs by referring to the instruction manual. Of course this is a party game, so the instruction book will be divided between up to four players with each player getting one or two (often intentionally contradicting) rules. Each bomb presents increasingly complex logic puzzles to solve as the rules get more byzantine. Rule #1 might say to disarm by cutting all the wires from right to left, Rule #2 says that no green wires can be cut even if another rule says to do it, Rule #3 stipulates that only Player 2 can cut odd numbered wires, while Rule #4 is a correction to Rule #2 that says green should have been written as “blue” all of which you try to frantically communicate as the timer clicks down. Bomb Corp is a surprising addition to the pack with a distinctly different feel from the rest of the games. I see if as a great option to get folks who may be a little nervous about the more creative games into the swing of things with a more structured experience. That said, the later levels of the game have to potential to stall out a group if you keep getting blown up on the same section. It should also be noted that Bomb Corp can be played by a single player, which gives the pack a smidgen more value for those times when you don't have a group around, but doesn't seem a huge addition either way. Brass tacks, the Jackbox Party Pack 2 made me and my friends laugh our asses off, and that's what it's all about. I can't think of an easier or quicker way to reduce a room to a giggling mass of hysteria, just toss it at a group of people and go. Party Pack 2 is a ridiculous value that is sure to provide you and your friends with a lot of laughs and great memories, exactly what every party game should aspire to.